Dear Internet, I love when you get bored and make insane mashups. I also love when they include one of my favorite movies. So here you go readers, Guardians of the Galaxy with a little 90’s Friends nostalgia mixed in. Ms. Marvel is my current favorite title. As I mentioned in my Batgirl post I really expected Marvel to fumble. I expected them to give it a college try and fail but they didn’t. G. Willow Wilson manages tell a great story as well as give us clear messages about finding your place in the world and accepting yourself without being heavy handed. It’s one of the few comics that consistently ends in a way that makes me curse the fact that I have to wait another month for the next issue. Kamala Khan is the Peter Parker of this generation only better. Where Peter is a snarky kid who comes into helping people due to a great personal loss Kamala becomes a superhero because she already knows the whole with great power thing. She steps up because she implicitly knows it is the right thing to do and as I watch the youngins on Tumblr and Twitter trying to build a better safer digital world for each other her character rings even truer. I don’t think every character should be a role model for kids, some of them sure are warnings (I’m looking at you Deadpool) but I think we do have a need for a diverse set of role models. Captain America is great but the world he inhabits isn’t mine, Kamala’s is. So to honor the fact that the first trade of this fantastic comic came out this week lets celebrate by re-watching one of my favorite Youtube channels. 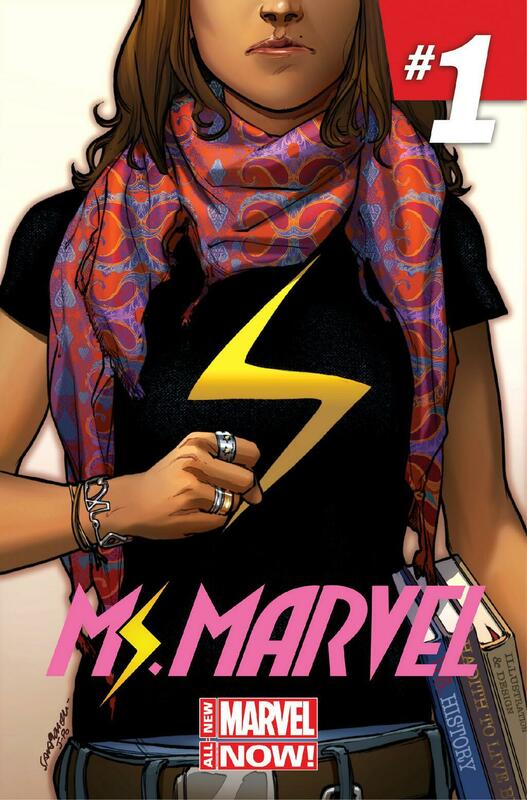 The fabulous IdeaChannel created a video about Ms. Marvel and comic book representation way back at issue two. The video is both full of great ideas (see what I did there?) and self awareness of the privilege that comes with being a cis-white dude discussing the experience of being a female person of color. Really it’s just all around great and if you’re not a subscriber already you need to remedy that right quick.